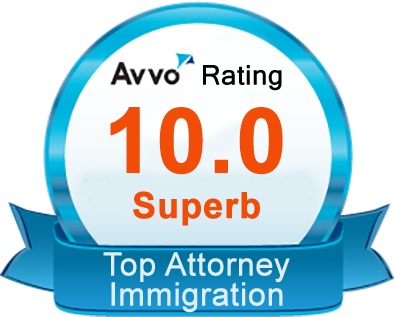 Ms. Goldstein has earned a perfect 10 star rating from her former clients on www.avvo.com for providing outstanding service to her clients. I retained Attorney Karen Goldstein for representation in a misdemeanor defense. I would recommend her for everyone looking to get the best possible outcome for their case. I have never been more satisfied with legal representation than I am with the work Karen Goldstein did for me. She worked day and night to help me resolve my case and take the worry off my shoulders. Any time you need an attorney is a stressful one and you need representation that will help you through it, Karen Goldstein helped me get through my stressful time with a good record and minimal stress and I would recommend her law firm to everyone. Karen Goldstein was hired immediately after interviewing several lawyers prior to speaking with her. She presented herself with full knowledge of the type of case to be handled for me. She is brilliant in the knowledge of the law as well as compassionate as with her clients. Karen is very dedicated and “on top of it” all the time. Karen gave me immediate peace of mind and an outstanding outcome. I highly recommend Karen without hesitation. I have a new problem. My problem is trying to find the words to adequately explain my gratitude for your [Ms. Goldstein’s] hard work. Fourteen months ago, I was looking at a sentence with a ten year minimum. My wife was pregnant with our second child and my whole world was being torn apart. I had never been incarcerated and the thought of spending the next ten years in a cell was unimaginable. However, you changed my life forever. To think that I will have served sixteen months in federal custody and walk out the door, is truly a miracle. I can honestly say that in my fourteen months in the federal prison system, I have not been a witness to any miracles. It is very easy to lose hope when everyone around you is losing ten to twenty years of their life. You however, kept my hope alive. From your brilliant arguments in the courtroom to fighting with the AUSA, you never gave up on me. I have seen so many lawyers push their clients into quickly signing a guilty plea, just to get their paycheck and move on to the next case. So many defense attorneys look at us like we are just a number, (another paycheck). It is rare to come across a lawyer who takes a good look at the man they represent. I have never seen a lawyer with the kind of dedication and personal interest that you [Ms. Goldstein] displayed in my case. You completely contradict any stereotype or label that most defendants will say about their attorney. Not only did you give me my life back, you gave my wife her husband, my children their father, and my parents their son. Thanks to your hard work and dedication, I can teach my daughters to ride a bike instead of drive a car. No words can ever adequately express my gratitude, but I want you to know that I am blessed to have you in my life. I pray that you continue to ‘fight the good fight’ on behalf of men like myself. The United States does not fight fair, and it is a shame that so many families will lose their loved ones to the rampant injustice that takes place in the federal system. On behalf of my family and I, we thank you from the bottom of our hearts for saving my life and a job well done. One of the scariest times in an individual’s life could be the moment they are charged for something beyond a simple misdemeanor, this is my life. The instant I met Karen Goldstein, my intense nerves went from exhilaratingly racy to calm and protected. Her abundance of knowledge and expertise of my case was nothing short of perfection. From the moment we shook hands to the very last time we spoke, the professionalism and service was absolutely remarkable. Not only did she achieve the results I wanted but she went above and beyond to further assist me one year later with additional support, I could not of asked for a better attorney. Since then, I have confidently recommend Karen Goldstein to several people I know that have been in my same situation. Thank you so much for everything you did. When I met Karen Goldstein I was in the worst legal position I have ever been in. I was emotionally devastated and my future and that of my family’s was uncertain. Karen Goldstein not only put my mind at ease, but her friendly and calm (though very professional) demeanor quickly let me know that she was no rookie looking to gain some experience with me and my case. She explained the procedures to me from start to finish, gave me best and worse case scenarios and throughout the entire process did everything that she could do to obtain the best outcome for me and my case. Karen Goldstein fought for me. Karen Goldstein defended me. Karen Goldstein won me the privilege to return to my family with my head held high. I appreciate everything that she did for me and my family and I would whole heartedly recommend her to represent any of my friends or family should they ever need a criminal defense attorney. Karen is reliable, credible and extremely experienced. And I for one am so glad that she helped me when I needed her most!